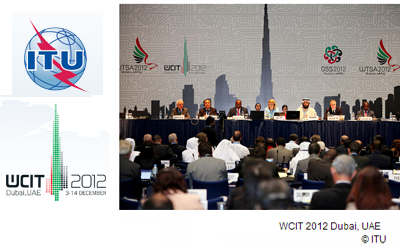 The World Conference on International Telecommunications in Dubai ended with delegates from 89 countries agreeing to a new treaty that encompasses a range of communications issues, including addenda on the development and growth of the Internet. However, the United States, Australia, Canada, Germany, Italy, Japan, the United Kingdom and other western European nations rejected the treaty on grounds that new government regulations would be a threat to the open Internet. ITU Secretary-General Dr Hamadoun Touré said the agreement was not meant to stem the free flow of information but to assist developing countries, promote accessibility to persons with disabilities, address spam, and other Internet traffic areas. He noted that provisions concerning the Internet were removed from the actual treaty text and annexed as a non-binding resolution. Opponents of the treaty were not convinced. They said granting new powers of authority to the ITU was unwanted and unneeded. Regulating spam messaging could open the door to sanctioned government surveillance and censorship especially of political or religious content. The United Stated said it could not support the treaty. U.S. Ambassador Terry Kramer stated: "The Internet has given the world unimaginable economic and social benefits during these past 24 years – all without UN regulation. We candidly cannot support an ITU treaty that is inconsistent with a multi-stakeholder model of Internet governance. As the ITU has stated, this conference was never meant to focus on internet issues; however, today we are in a situation where we still have text and resolutions that cover issues on spam and also provisions on internet governance. These past two weeks, we have of course made good progress and shown a willingness to negotiate on a variety of telecommunications policy issues, such as roaming and settlement rates, but the United States continues to believe that internet policy must be multi-stakeholder driven. Internet policy should not be determined by member states but by citizens, communities, and broader society, and such consultation from the private sector and civil society is paramount. This has not happened here." INTERXION is now offering AWS Direct Connect from its 32 data centres across 11 countries in Europe. AWS Direct Connect allows customers to establish private connectivity between the AWS platform in the cloud and their existing dedicated IT infrastructure, which can reduce network costs, increase bandwidth throughput, and provide a more consistent network experience than Internet-based connections. 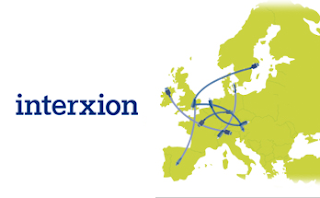 The new services is carried over Level 3's network from the INTERXION data center to Amazon Web Services (AWS). INTERXION said AWS Direct Connect will be particularly attractive to customers that use large data sets and real time data feeds or need to satisfy regulatory requirements by using private network connections. AWS operates its major European data center in Dublin. AWS Direct Connect uses 802.1q VLANs. The dedicated connection can be partitioned into multiple virtual interfaces, enabling the same connection to access public resources such as objects stored in Amazon S3 using public IP address space, and private resources such as Amazon EC2 instances running within an Amazon Virtual Private Cloud (VPC) using private IP space, while maintaining network separation between the public and private environments. Virtual interfaces can be reconfigured at any time. Rates up to 10G are available. Equiix, Telx and Hibernia Atlantic have all recently announced AWS Direct Connect services.